This was a hot ticket at the film festival. 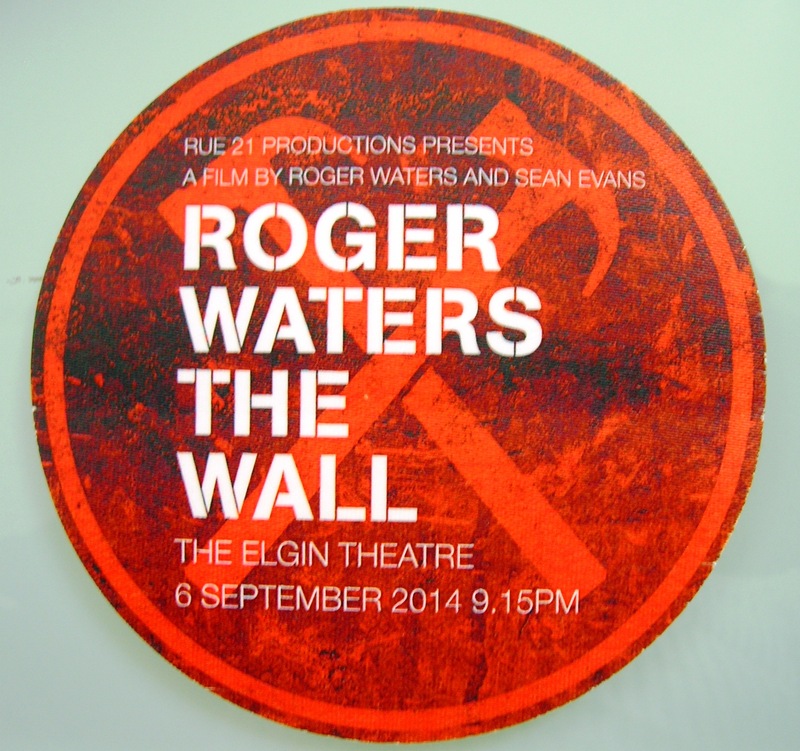 There are two more screenings aside from the premiere, but – as Roger said – there is no deal signed yet for a DVD release. So go see the movie in the theater! It was Roger’s 71st birthday, so I dressed up in his honor. 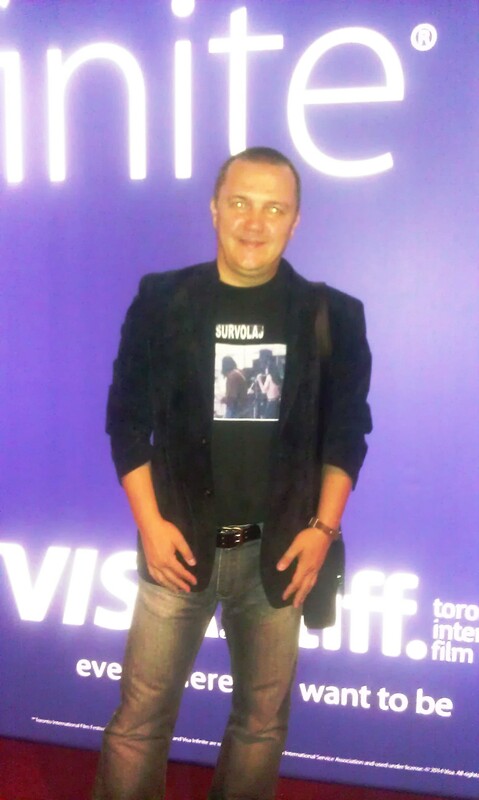 This t-shirt with a shot of cult Romanian band Survolaj has seen many rock milestones, including Hendrix’s grave near Seattle. Same for my “Hard Rock Cafe Montreal” bracelet. 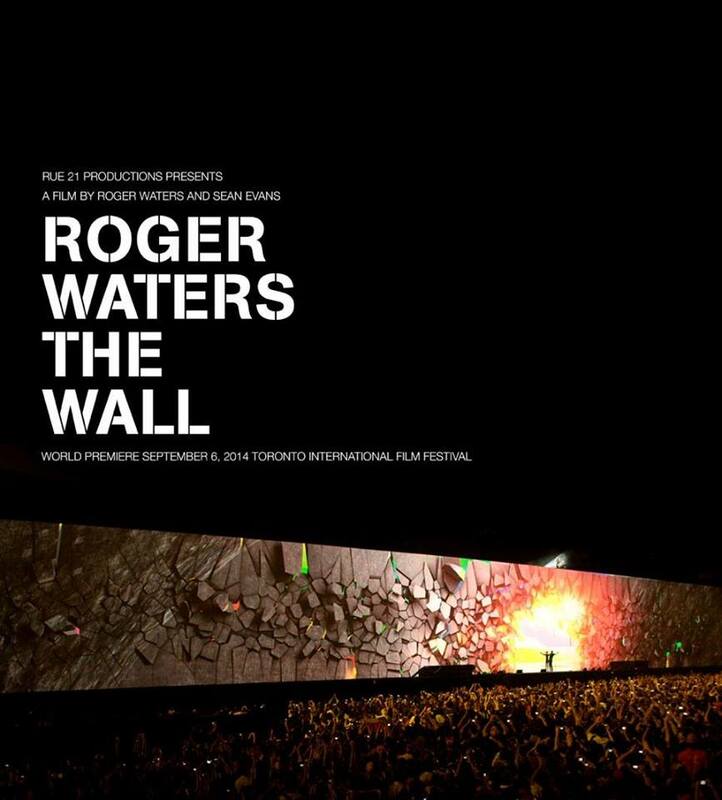 FULL CIRCLE: the 2014 premiere was four years from the launch of the 3-year long ROGER WATERS THE WALL tour (15 September 2010), which took place at Air Canada Centre in Toronto, minutes away from the theater. The stickers handed to the people in the queue outside the theater. Along with many of his friends and his co-director Sean Evans, Roger – currently living in New York – brought his two sons to the premiere in Toronto (Roger also has a daughter, India). I saw the eldest – Harry Waters – playing Hammond organ in both the DARK SIDE tour and THE WALL. Rogers presented them to the public and sent them much love from the stage during the Q&A. This concert film / rockumentary includes the whole concert intertwined with scenes from a road trip that Roger Waters took to a war cemetery in Cassino, Italy, where his father’s name is mentioned. His father died in combat during WW II , when Roger was 5 months old. You also get to see Roger taking his three kids to his grandfather’s grave – turns out that Roger’s father Eric lost his own father in World War 1, when he was two years old. The concert, well, everybody knows it. FABULOUS! As heard in a movie theatre, the concert still rocks – I saw people rocking in their chairs at In The Flesh, and quite a few air-guitar solos on Comfortably Numb. But every single minute of seeing Roger Waters putting his soul on the table is worth watching. An amazing act of courage from a discrete person. The open air concert shootings are from Quebec City and Buenos Aires. 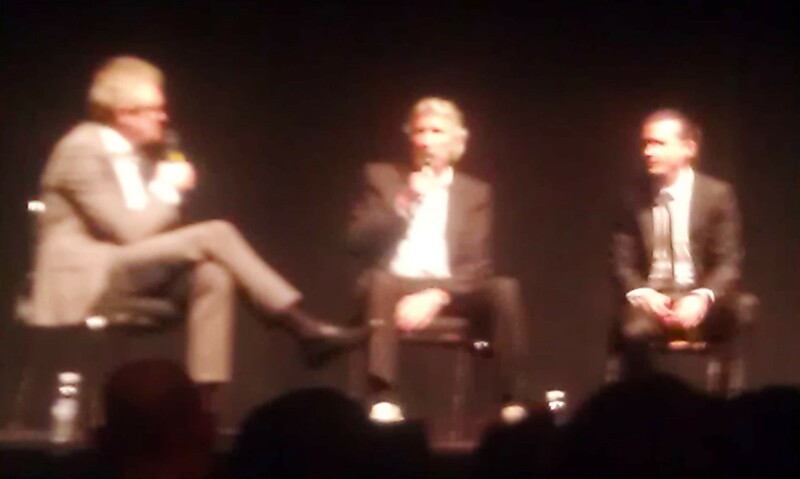 Roger Waters and Sean Evans getting ready for the Questions & Answers session, after the movie. The evening ended with Roger and Sean taking the stage for questions and answers. The public was not shy. 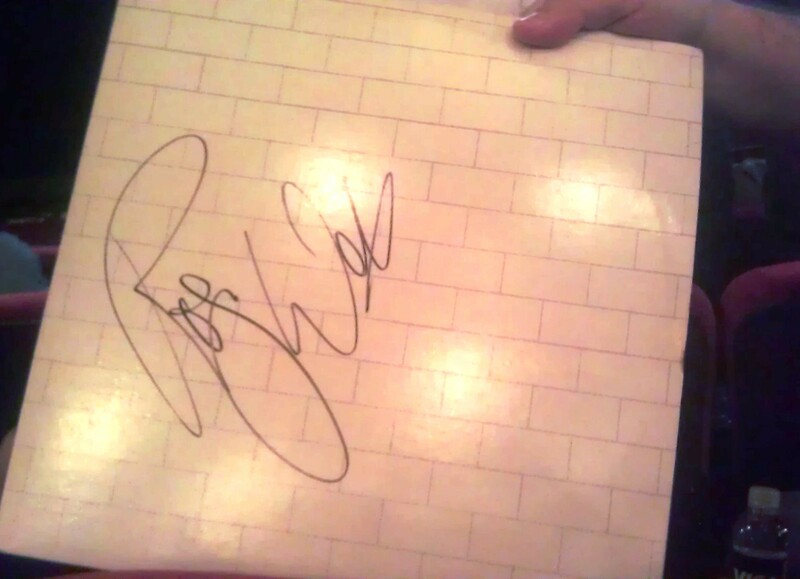 There were mentions of the (in)famous spit incident, and a good question about how the whole idea of reviving THE WALL came up (yep, as I suspected, it all started after the successful DARK SIDE tour). 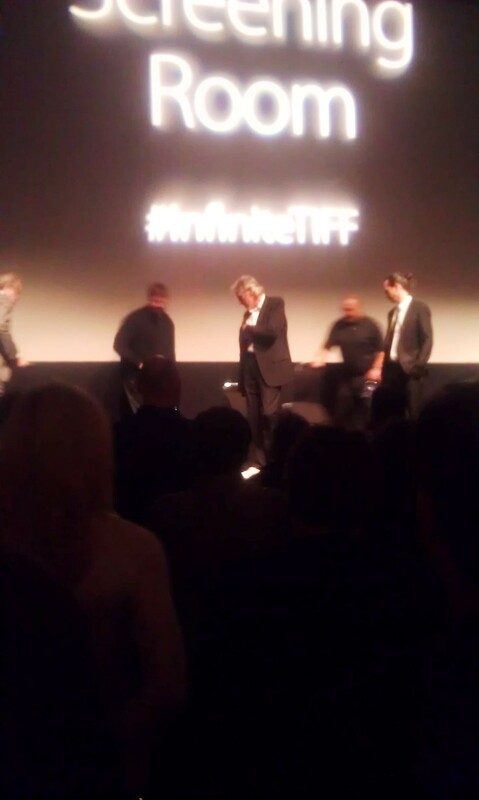 Roger Waters during the Q&A in Toronto, September 2014. 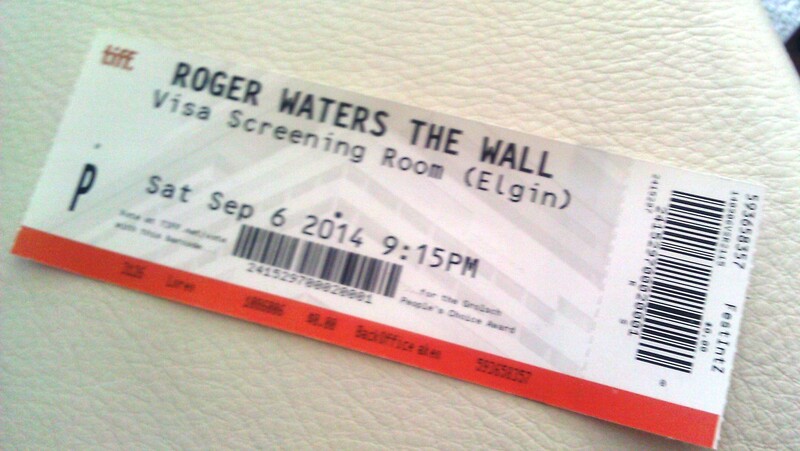 Posted in English podcast and tagged as featured, festival, film, premiere, Roger Waters, Sean Evans, The wall, TIFF, Toronto, world.